The finalization of this project for closings happened during a very turbulent economic time. Approximately 10 percent of the units have been sold. Buyers who purchased prior to construction completion have moved into the downtown project. Corus Bank has recently taken over a high rise in Las Vegas real estate. They will be selling condos at a 50 percent discount to originally set prices. The price decline has and will produce buyers in this real estate market. Corus invested $750 million in Las Vegas, Nevada real estate three years ago from their loan portfolio. Their real estate portfolio included One Las Vegas, Allure, Juhl, Streamline Las Vegas and Panorama condominiums. Condo developments in Las Vegas returning ownership back to the mortgage lenders include, Cosmopolitan, Mira Villa, Newport Lofts and Turnberry Towers. A real estate developer recently held an auction with all units receiving bidding interest. Buyers can see a tremendous value in residential real estate and recent sales confirm their actions. 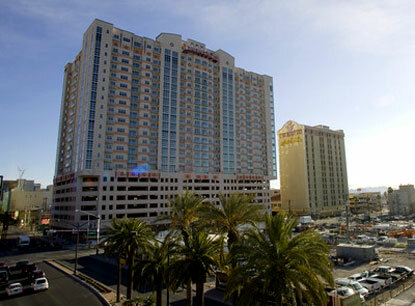 Las Vegas high rise condo filed for bankruptcy protection this week.